We are once again raffling off baskets at this year’s fish fries. 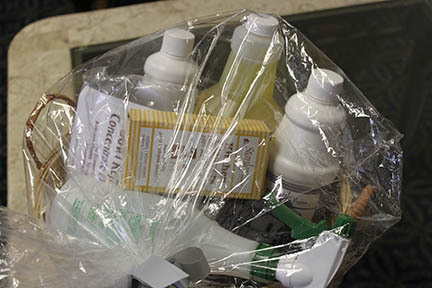 When you stop in for fish today, you will have the option to take your chances on this basket of cleaning products–our weekly raffle–as well as take your chance on our Good Friday Raffle, which is a group of gift cards. The gift cards will be raffled off all as a group on Good Friday, with cards totalling over $500 in value. This entry was posted in Community, Connect to St. Stephens. Bookmark the permalink. ← Joining us for this week for fish?